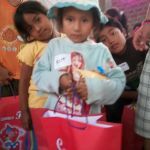 True Christmas is designed to give the poorest children in Peru a Christmas experience filled with love, laughter, presents, and the gospel message. 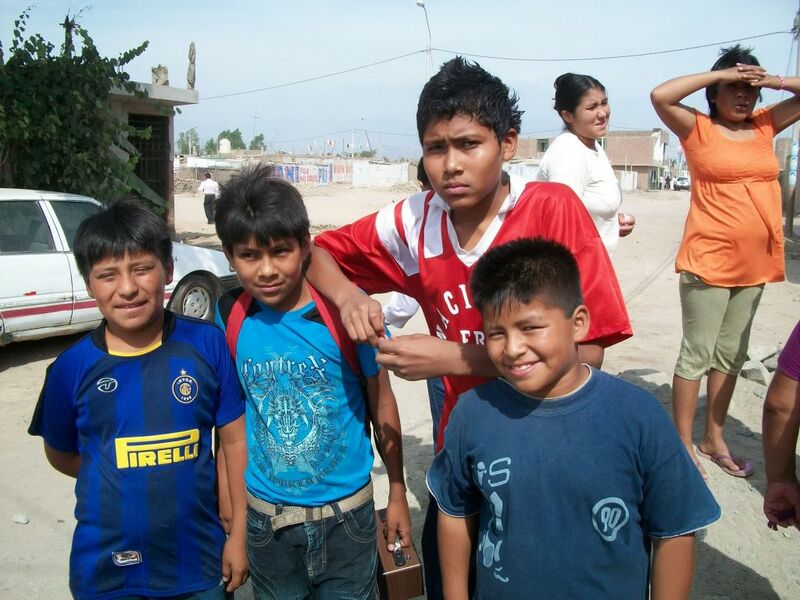 True Christmas takes place throughout Peru during Christmas week each year. 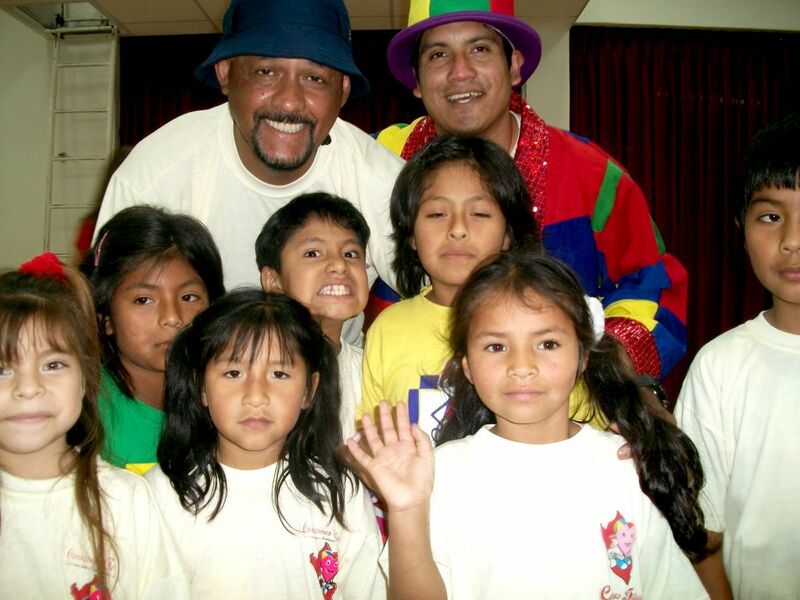 Children are entertained with singing, dancing, and skits performed by volunteers from the local churches in Callao. These volunteers take time out of their Christmas week to prepare for this massive, countrywide event. Church volunteers spend weeks organizing the presents, selecting which areas to visit, and planning the performances. True Christmas has been growing in size and scope for over 20 years. 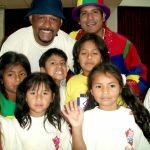 Mighty Hearts International has been supporting True Christmas since 2008 and has seen it reach over 2,700 children for Christ in that time. What a Christmas blessing that is! The program is expanding at a rate of roughly 20% each year and requires hundreds of volunteers, months of planning, and a large amount of money to make it a success. 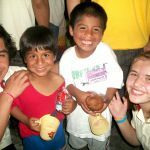 The cost to provide True Christmas is about five dollars per child. We encourage you to get involved in whatever way you can! 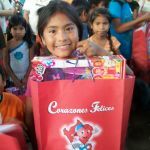 True Christmas is designed to give less fortunate children a Christmas celebration like nothing they have ever experienced before. When the time comes for the actual celebration it is all about the children! 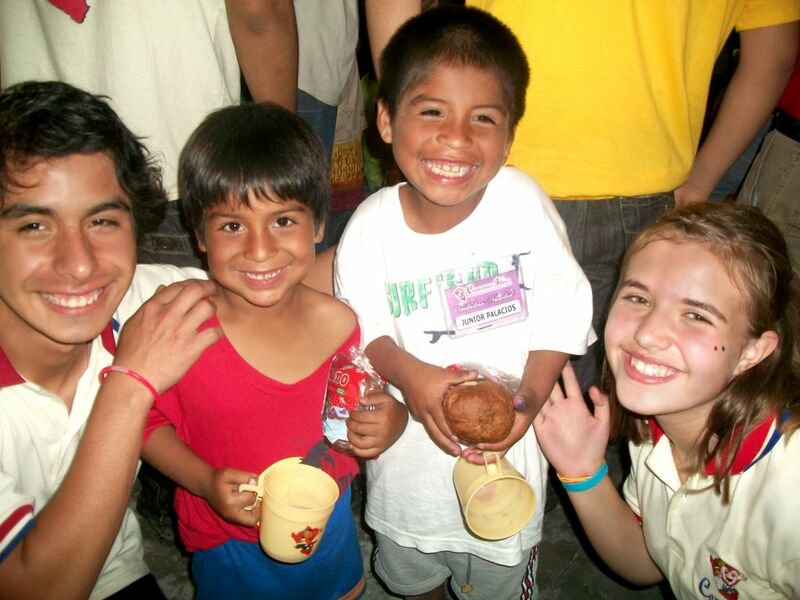 The volunteers are trained to bring high energy and lots of love for the children! 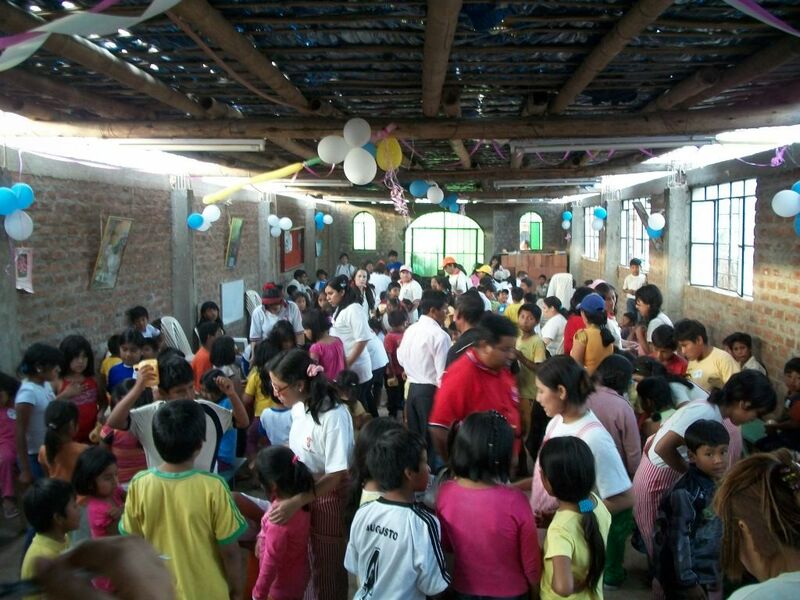 The volunteers sing songs, dance, perform skits, and play games with the children. In addition to the worship music, a leader from the team will share the story of Jesus’ birth and the true meaning of Christmas. 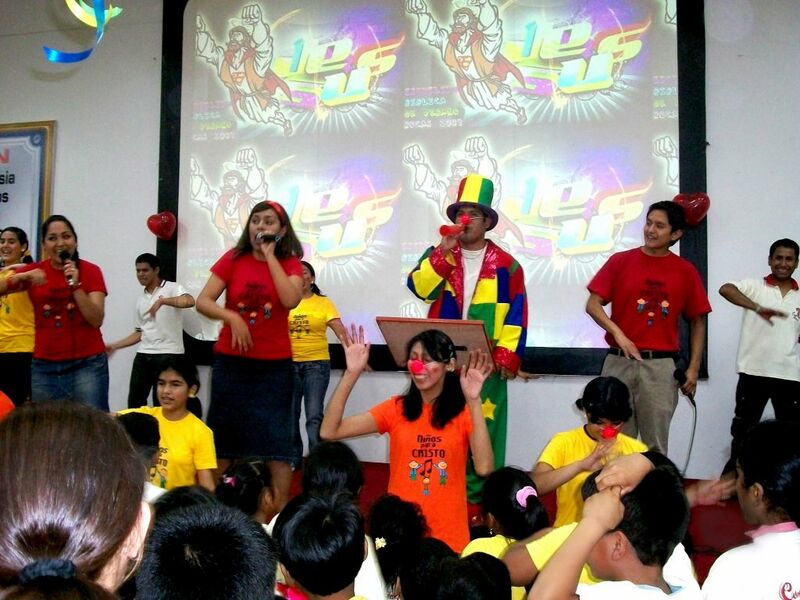 This will be the first time many of the children will hear the gospel message. At the end of the celebration the children are all given chocolate milk and a traditional Christmas cake called “panettone”. 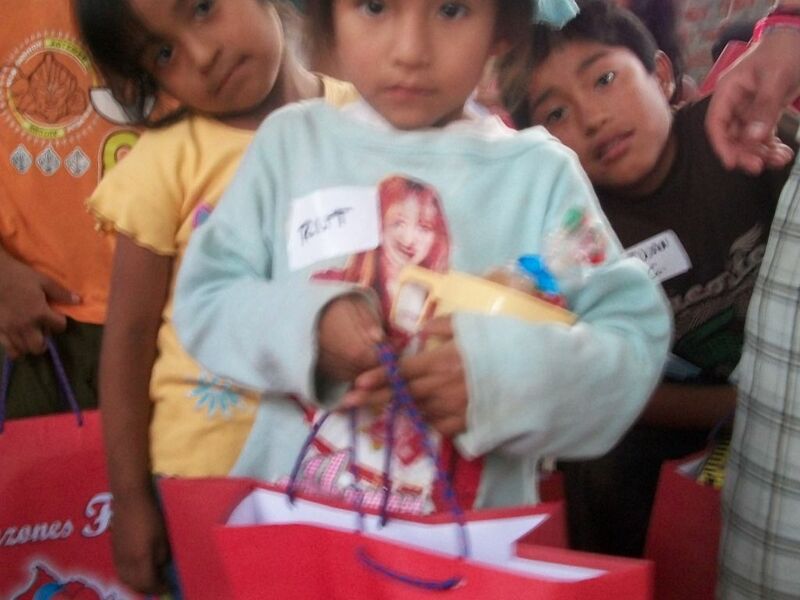 The children also receive a gender and age specific gift such as a soccer ball or Barbie doll. For the majority, this will be the only Christmas gift they receive. After the celebration volunteers will walk the children back to their homes. When they arrive volunteers will ask if they can come inside to meet the rest of the family. This is a very powerful part of the celebration for many volunteers. The opportunity to share the gospel message with these families in their homes is always a great blessing for our team members. We have seen many people, and in some cases entire families, come to Christ during these visits! You can’t ask for a better Christmas gift than that! Imagine a Christmas with no decorations, no build-up of anticipation, and no story of Jesus’ birth. Imagine a Christmas with no gifts, no worship service, and no real reason to celebrate at all. Imagine a Christmas day that is seventy-five degrees and sunny. OK, that last part actually sounds nice. 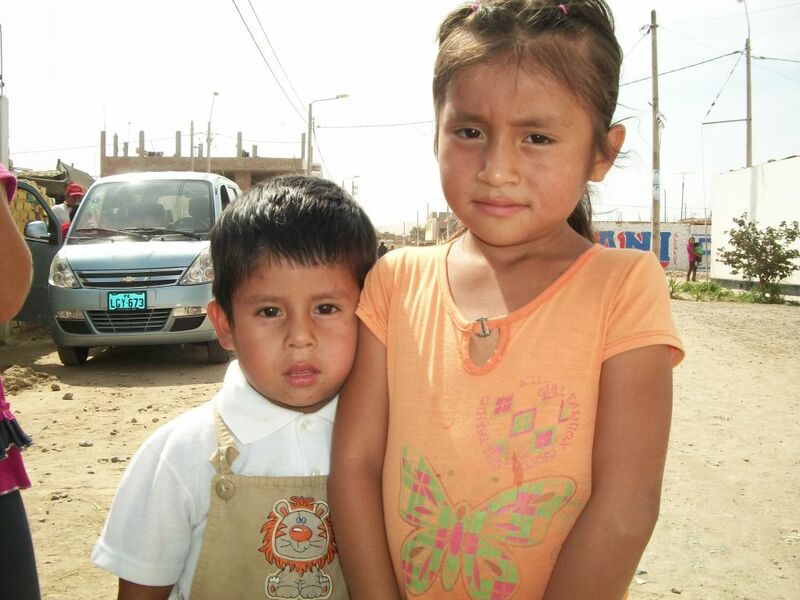 However, the point is that Christmas time can actually be quite sad for many of the poorest children in Peru. They do not wake up and run down the stairs to a Christmas tree surrounded by presents. Instead, they see other families returning from shopping trips with bags of presents knowing they will not receive any of their own. When you think about it, there really is not a better time of year to share the good news of Jesus Christ than Christmas time. Christmas is a time of joy and love and celebration. 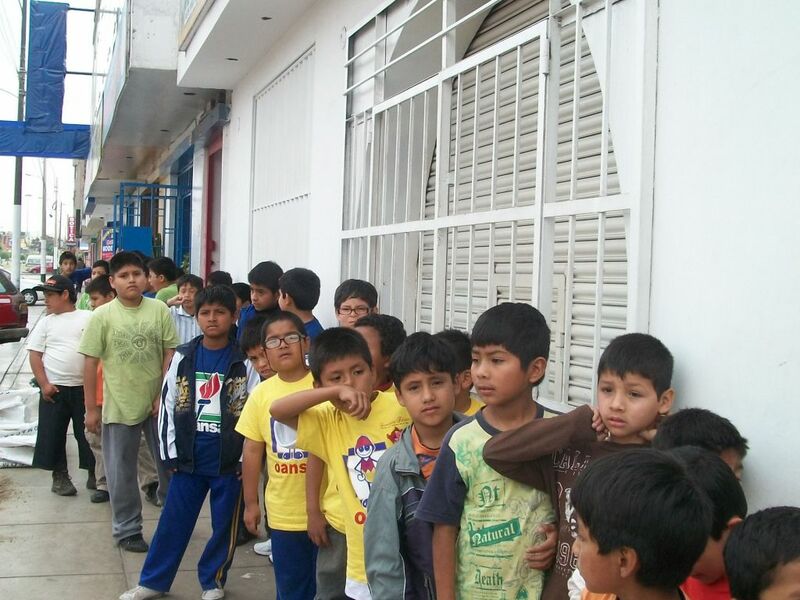 Our goal is to bring all of that and more to the less fortunate in Peru. It isn’t the fact that the people do not want to celebrate Christmas or the fact that they don’t believe in Jesus, it’s the fact that they don’t have the resources or have never even heard of Him. 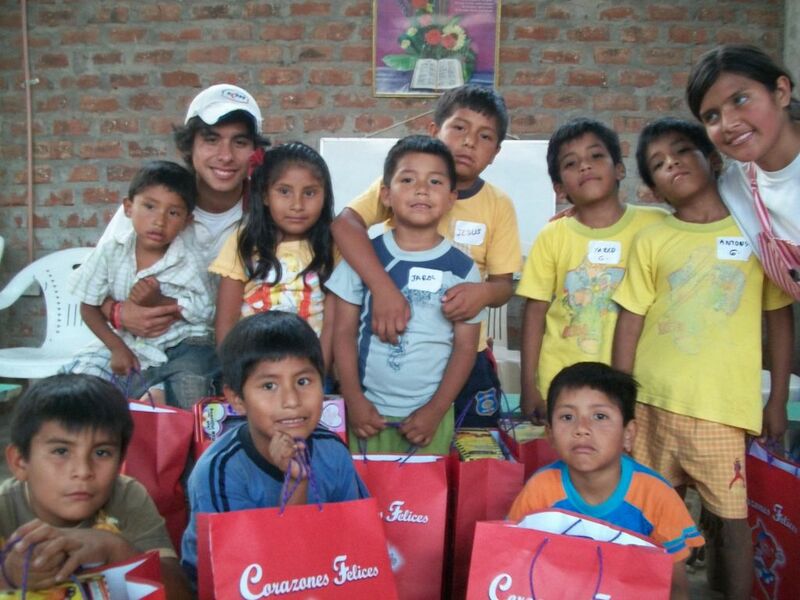 It is a great blessing for us to share the hope of Christ with them during the Christmas season! True Christmas requires hundreds of volunteers, months of planning, and a large amount of money to make it a success. As you can imagine, all of this planning requires a lot of time and resources. 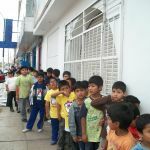 As a result True Christmas has become one of the main fundraising efforts of Mighty Hearts International™. 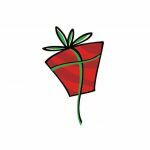 All proceeds from our Oktoberfest fundraiser go directly to True Christmas. 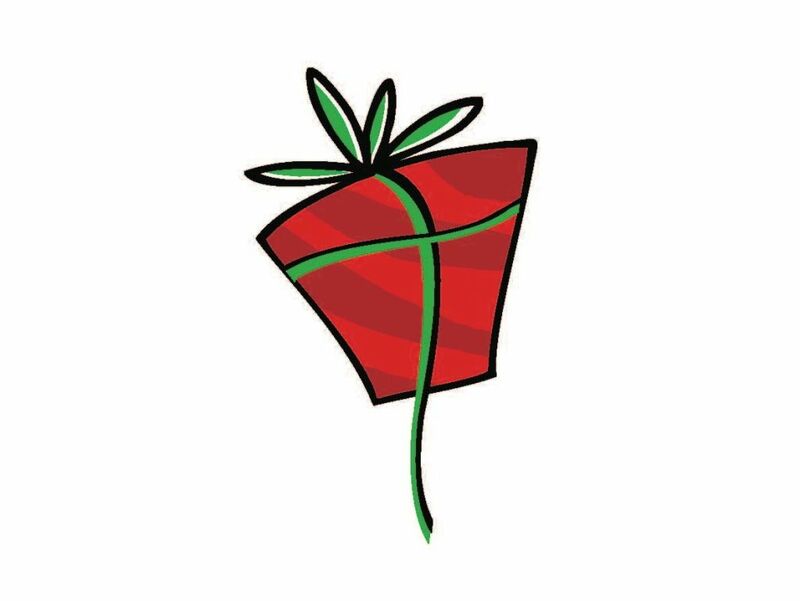 We also send out a newsletter with a specific request for donations to the True Christmas celebration. Preparations for the events begin weeks in advance. 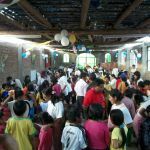 Volunteers from the local churches spend a great deal of time identifying the children with the greatest need, selecting the best sites to hold the True Christmas celebrations, and organizing a leadership group for those areas. Volunteers from the church spend their Christmas breaks making gift bags, organizing toys, and preparing for the True Christmas celebrations. 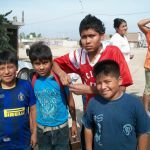 While some groups travel across town for a True Christmas festival, others take up to an 18-hour bus ride to reach remote villages in Peru and give those children a True Christmas. 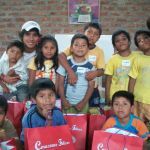 This past year a group of 20 people from Appleton Alliance Church visited Peru and participated in the True Christmas celebration as well. These trips will continue every other year. We know True Christmas is making a positive impact because we see people come to Christ right before our eyes! We try and look at the events through the eyes of the children. We ask ourselves what they envision Christmas to be and we try to give that to them. It is so fun to watch the children crane their necks to get the best view of the stage and stare in wonder at the performers. It is even more fun to see their expressions when the presents are brought out. 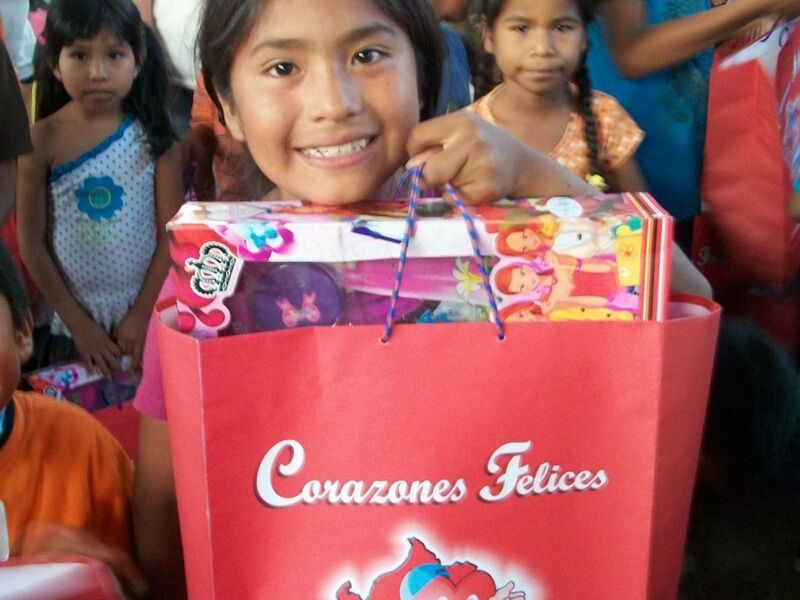 Many children have never received gifts before so they are overcome with excitement when they find out there is a present just for them! 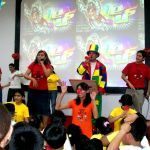 It is even more exciting, though, to see the children sing along to the worship music and close their eyes tightly as they concentrate on prayer. The joy and innocence of the children during the celebrations is so beautiful to watch and truly makes all of the time and effort worthwhile. We are all reminded of what Christmas day is really about, why it exists, and God’s purpose for the day. We look forward to many more True Christmas celebrations in the future! Thank you all for your continued support.